If your vehicle has been feeling sluggish, is using too much fuel, or has lost its "get-up-and-go", then it may be time for some throttle body and fuel system maintenance. Cleaning out the build-up that forms inside your air intake and fuel system will enable the engine to breath and give it the fuel it needs, allowing it to run like new. The engine performance specialists at John Amato are here to help your car get back in shape and ready to hit the road. Combustion engines are very heavily dependent on the fuel and air mixture entering the engine. The delicate fuel-air mixture is maintained by the engine's computer, which takes readings from your throttle and computes how much fuel to add. When the engine's air sensors become dirty or contaminated, they no longer supply the engine's computer with the information needed to supply the engine with the proper amount of fuel. The computer will instead overcompensate with more fuel, costing you more money at the pump and causing more engine wear. Cleaning the throttle body consists of taking the throttle apart and cleaning each component individually, ensuring that the intake air sensors are able to take readings and communicate as designed. 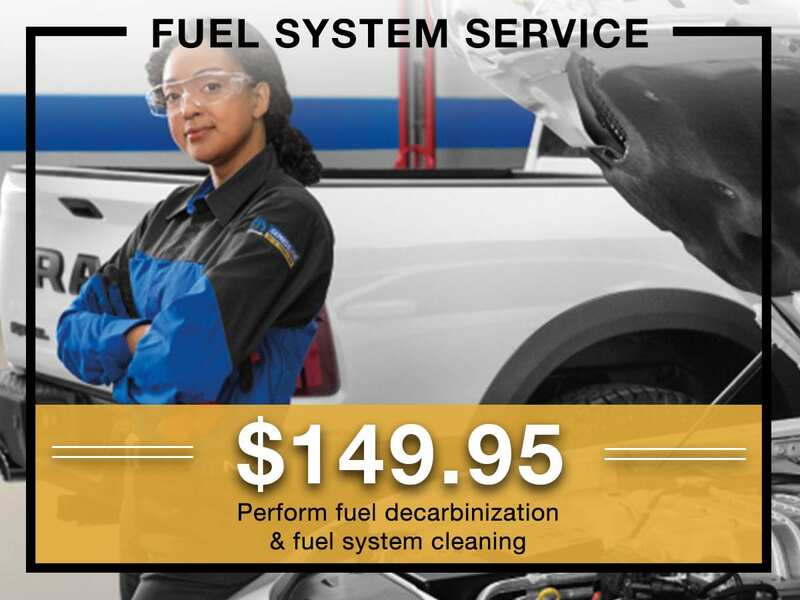 Your fuel system is subjected to getting contaminated every time you fill your car with gas. While modern fuel companies have strict regulations on fuel contaminants, fuel storage tanks at gas stations do not have the same rules. Dust and debris can make their way past the fuel pump and fuel filter and may start to collect at the fuel injectors, which are much smaller. When your fuel injectors become clogged, they spray less fuel into the intake making your vehicle must work harder to run. Cleaning the fuel system can consist of using fuel additives that break down the build-up, or manually cleaning or replacing the injectors. Our team of local experts are here to serve the Milwaukee, Glendale, Lincoln Park, and Thurston Woods communities. The service department at John Amato Dodge Jeep Ram is a state-of-the-art facility designed around customer comfort and convenience. Whether your waiting in our lobby with refreshments and free WiFi, or you are taking part in our rental car program, we pride ourselves on getting you taken care of quickly and effortlessly. Our industry-leading professionals are happy to service all makes and models.